Teach My People to Pray is a pastoral reflection by Bishop David Ricken. This letter asks all priests and parishes to focus our efforts over the next two years on prayer. Prayer is a key to the spiritual life. Without regular daily prayer, our spiritual life will die. But too often prayer is dry and difficult. How can prayer become fruitful? The problem with prayer is we often see it backwards. We think of it as our work. If I “put enough time in”, if I pray “hard enough,” then things will start to happen. We give up because we try to “pray hard” and we don’t see the fruits we are looking for. But prayer is fundamentally God’s work, not ours. It’s about a conversation with God, and the conversation begins with Him. Good prayer is a response to what God is doing in my life. When I see a beautiful sunset and thank God for it, I am noticing His work and responding to it. This is prayer. This is true of all aspects of our life and not just sunsets. God is working in my heart and through the ordinary events of every day life. I need to be open to see and respond to what God is saying and doing. As I respond to those things and cooperate with God’s work, a real conversation starts to happen. I listen for God’s presence and His voice and I respond with my words and actions. Then I listen for His answers to my response. Living in this give and take, and taking time to reflect and talk to God about it, is the Christian life. 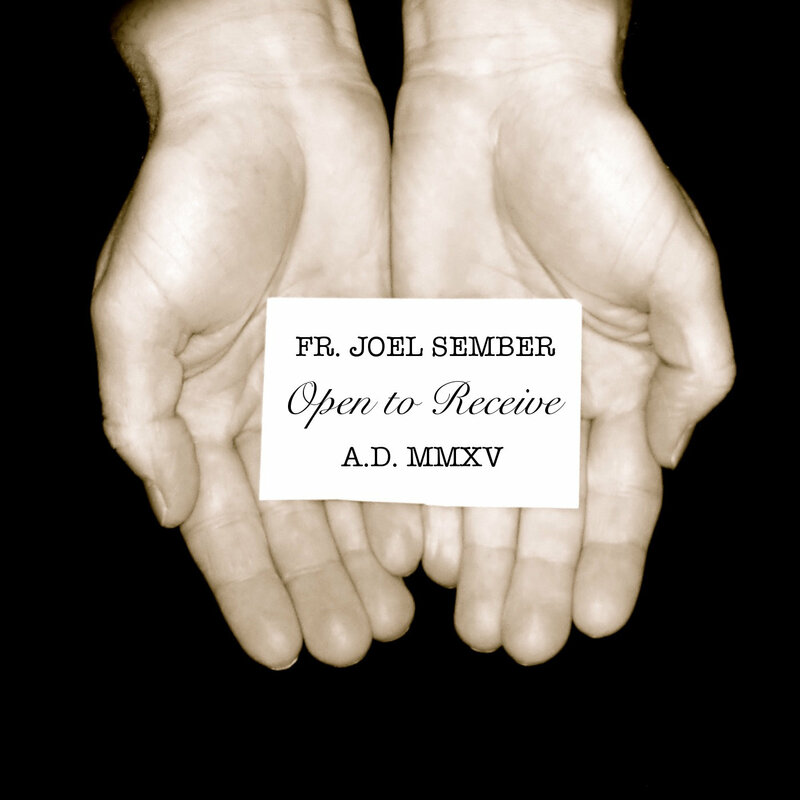 This is real prayer, and it all begins when we are Open to Receive. The podcasts released in 2015 will all start with a “5” (as in 501, 502, etc.) and carry the name Open to Receive. The image for this year is hands open to receive. Receive what? Good homilies, I hope, and all the other good things God wants to give you in 2015. If you enjoy the podcast I encourage you to subscribe and to share it with others. Comments are always welcome and appreciated. Thanks for all your support in 2014. May your New Year be a year of a renewed prayer, conversation, and communion with God. 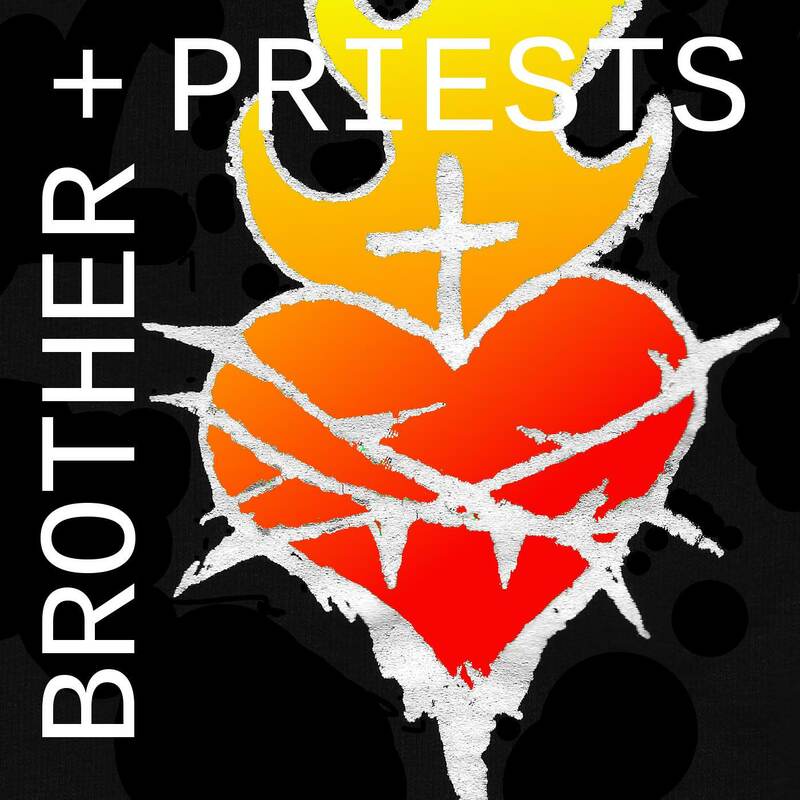 The Brother Priests Preaching Podcast also has a new logo. This is kind of a big deal because this particular logo carries through to the iTunes show, so those who get the podcast on iTunes would have noticed right away. I have kept the text design from before but updated it with a bolder and more colorful look. The Sacred Heart design is a classic Catholic motif that has been picked up by pop culture. In the Catholic world it symbolizes the love of Jesus for each of us. His heart is on fire with love, but also suffering (the cross and thorns) for each and every person He loves. My hope is that this podcast inspires you with the love of Jesus and helps you love Him in return.